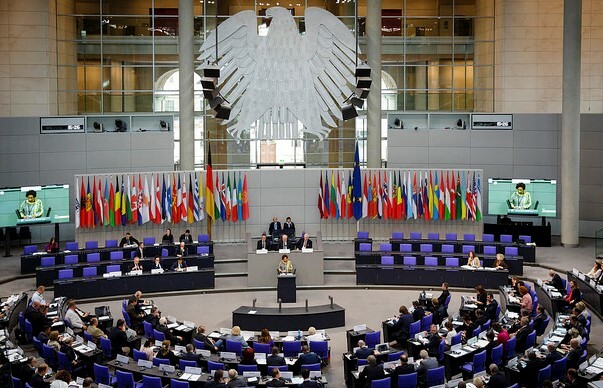 Over 300 parliamentarians from Europe, Russia, Central Asia, the Caucasus, Canada and the United States meeting in Berlin July 7-11, 2018, adopted a declaration expressing deep concern about unresolved conflicts and nuclear weapons threats in the region, and proposing measures that should be taken to rebuild peace and security in Europe. The Berlin Declaration adopted on July 11, calls on nuclear armed and allied states to agree to no-first-use of nuclear weapons, adopt other disarmament and confidence-building measures, increase direct military-to-military contacts, and engage in structured dialogue to address the serious conflicts in the region. These conflicts include the increased tensions and provocations between Russia and NATO and the armed conflicts in (and relating to) Ukraine, Nagorno-Karabakh, Georgia and Ukraine. The declaration promotes mediation and dialogue as ‘cost-effective ways of preventing, managing and resolving violent conflicts,’ and highlights OSCE processes that are already helping to manage the conflicts, but need further political support for full success. 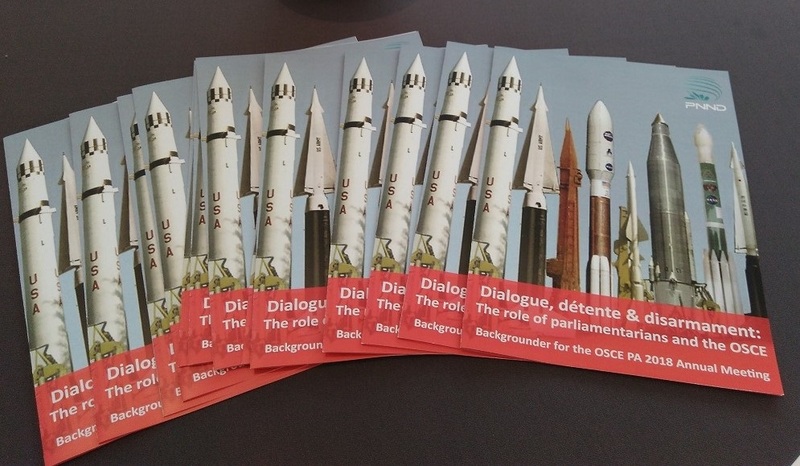 Parliamentarians for Nuclear Nonproliferation and Disarmament (PNND) circulated a backgrounder ‘Dialogue, détente and disarmament: The Role of parliamentarians and the OSCE’ to the delegates. This included an update on key nuclear weapons issues and upcoming events (such as the Trump/Putin Summit) and action ideas for parliamentarians. Contact PNND for a copy of the backgrounder. PNND members also played key roles in advancing specific issues and proposals for peace, security, nuclear risk-reduction and disarmament. Mr Sondegaard MP (Denmark) co-sponsored the text supporting the TPNW (which was not adopted) and also co-sponsored text, which was adopted, supporting the aim of a nuclear-weapon-free world and full ratification of the Comprehensive Nuclear Test Ban Treaty. Mr Stephane Crusniere MP (Belgium), Ms Margret Kiener Nellen MP (Switzerland) and Ms Hedy Fry MP (Canada) cosponsored text, that was adopted, supporting the Structured Dialogue initiative to counter the risk of military escalation.